We love organising honeymoons. There’s always so much excitement surrounding locations, itineraries and bucket lists. And, of course, if you can’t splash out on that extra layer of luxury for your honeymoon, when can you? A tropical island or beach ‘escape’ is many couples’ idea of the perfect honeymoon. 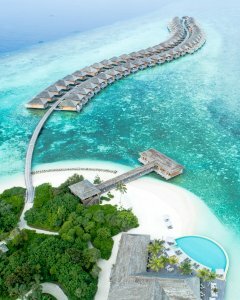 A popular destination choice is the Maldives, a tropical nation in the Indian Ocean, consisting of 26 ring-shaped atolls. The Maldives is best known for their flawless white, sandy beaches, blue lagoons and extensive coral reefs. Snorkelling, diving, sunset fishing and dolphin watching, island-hopping and water sports. The high, dry season stretches from November to April, with Christmas and New Year being the most popular times to travel. For a slightly quieter break, visit from January to March: you’ll still get the warm temperatures and calm seas without the hustle and bustle. 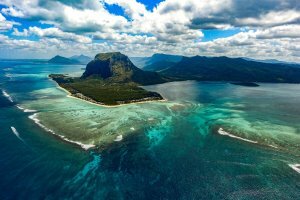 With its powdery white sands on ethereal beaches, the unbelievably romantic island of Mauritius is certainly a destination of choice for many newlyweds. Enjoy the seclusion of some of the more private resorts, or get involved with some of the water sports and buzzing bars; the choice is totally yours. Hire a car to explore the widespread coastal roads, sample the Mauritian fine cuisine, visit Chamarel Village (known for its naturally multi-coloured land), take a trip to “Treasure Island” located just off the East coast of Mauritius, or simply relax in one of the island’s botanical spas. Need an adrenaline rush? Try the island’s skydiving for a 360 degree view of this amazing place! Mauritius is the perfect winter escape; avoid the humidity of the summer months (November to May) whilst still revelling in the warm temperatures. Couples looking for a honeymoon-worthy hotel in New York will have no shortage of luxurious options, from romantic Old World hotels to trendy boutiques. Since it’s your honeymoon, we say go big or go home! Arguably one of the best hotels is the Four Seasons, which offers an award-winning service and a weekend “hangover” brunch in their acclaimed restaurant, The Garden, where they even have a fresh-pressed juice bar. 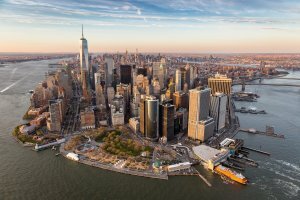 Take a stroll or cycle through Central Park, soak up the colourful vibes at a Broadway musical, visit the amazing Smorgasburg food market, visit some of the iconic NYC landmarks: The Statue of Liberty, Empire State Building and Top of the Rock, browse the trendy shops in the West Village, SoHo and Fifth Avenue. Hopeless romantic? Enjoy a photo shoot with your very own professional photographer who will capture all your romantic moments in your favourite area of the city. Spring and Autumn times are best for moderate temperatures and calmer crowds. Alternatively, December provides an unforgettable Christmas honeymoon. 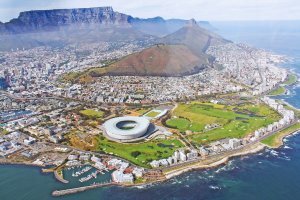 With its stunning views, vibrant culture and bustling harbours, Cape Town is the perfect place for a honeymoon to remember. With a perfect blend of extraordinary sightseeing and the relaxing beaches, there’s something for all tastes and moods. Marvel at the views from Table Mountain, visit the popular vineyard of Constantia Valley, sit “on top of the world” at Lion’s Head, relax with a cocktail on Clifton Beach, and finish up with a delicious meal at one of the many luxury restaurants with views. The city experiences warm and dry weather from October to April, making it an ideal Winter honeymoon destination of choice. Don’t be put off by other months of the year, though; January-April experiences slower wind gusts and pretty consistent temperatures, which remain around the 20 degrees Celsius mark. Looking for something a little more adventurous on your honeymoon, but don’t want to sacrifice luxury and indulgence? Then how about a custom itinerary from Lekker Boutique Travel? Known for its rich biodiversity, beaches and volcanoes, Costa Rica is a haven for explorer-types who also favour their down-time. Roughly a quarter of its area is made up of protected jungle, teeming with amazing animals and plants, meaning an adventure awaits around every corner. 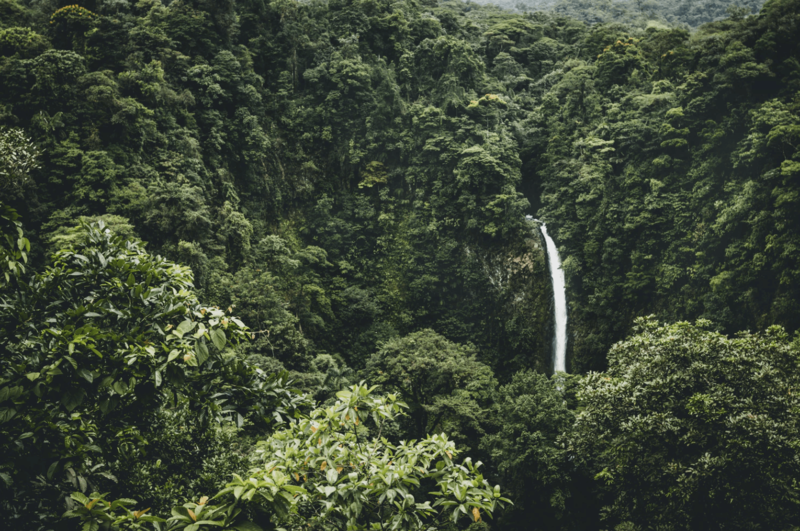 Discover the hidden waterfalls of Arenal, soar through the tropical forests of the Pacific, stay in luxury hotels with perfect volcano views, white water raft, zip line or even kayak fish! 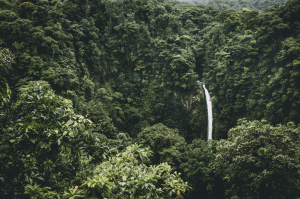 If that all gets too much, The Chocolate Forest experience includes a walk through the cacao forest, sampling of organic chocolate and ends with a sunset chocolate and wine tasting overlooking the Caribbean coast. Enough walking? Why not soak up the sights whilst bathing in the hot springs at the base of the Arenal Volcano. Local microclimates predominate and therefore make weather unpredictable, though to an extent you can depend upon the two-season rule. In the dry season (roughly mid-November to April), most areas are just that: dry all day, with occasional blustery northern winds (especially in January and February). Otherwise, you can depend on sunshine and warm temperatures. New Zealand’s stunning natural landscape makes it a giant playground for all ages, and boasts scenery that has to be seen to be believed. 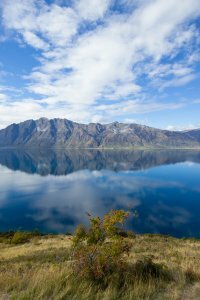 The country is comprised of the North and South islands, and on your travels between both you’ll come across mountains, lakes, beaches and rainforests – and everything in between! Go bungee jumping in Queenstown (if you dare! ), swim with dolphins in Kaikoura, admire the stunning fjords in Milford or go hiking or biking in Routeburn. If you want to come up for breath, Rotorua is all about amazing thermal activity and Maori culture whilst Hawke’s Bay is perfect for wine connoisseurs. The bite-size capital, Wellington, is home to a fascinating museum and a great café culture. New Zealand’s rugged beauty and varied landscapes make it a spectacular destination to visit at any time of year. The summer months of December to March bring long, warm, sunny days whilst June through to September are likely to bring some snow to the South island, drawing in skiers from all over the world.